A disturbing journey into the mind of an abject sociopath, The Killer Inside Me features jolts of cruel violence, but suffers from bland narration and shallow characters. It's 1952 in a small rural town in Texas. 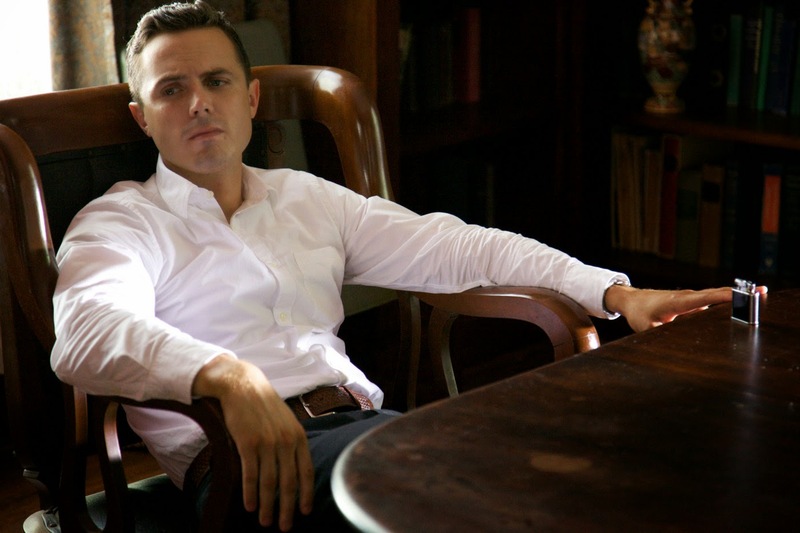 Deputy Sheriff Lou Ford (Casey Affleck) appears to be a normal and dependable part of the town's fabric. When Sheriff Bob Maples (Tom Bower) assigns Lou to drive prostitute Joyce Lakeland (Jessica Alba) out of town, Lou instead beats her up, which she enjoys. They commence an intense physical relationship, despite Lou being involved with long-time girlfriend Amy (Kate Hudson). Lou is actually a cold blooded psychotic killer, and he blames the rich Conway family for the long-ago murder of his adopted brother. When Lou learns that Elmer Conway (Jay R. Ferguson) is one of Joyce's regular customers, he plans a revenge plot to inflict pain on Elmer and agony on his father Chester (Ned Beatty), the town's construction magnate. Lou's revenge involves brutal murders arranged to incriminate others followed by pathological lying, prompting an investigation by County District Attorney Howard Hendricks (Simon Baker). Lou may need to kill again to cover his tracks and stay ahead of the law. Directed by Michael Winterbottom as an adaptation of the 1952 Jim Thompson book, The Killer Inside Me is not for the squeamish. The film includes two shocking scenes of barbarous violence, as Lou unleashes his inner demon in a fury of killer blows. The victims are pummeled into grotesque disfigurement, and Winterbottom allows his cameras to linger, prolonging the scenes to emphasize Lou’s soulless brutality and the pathetic helplessness of his victims. Lou is responsible for many deaths, but the two victims of his most shocking acts are both women. This elevates the visual horror, and is partially explained by the root causes of Lou’s derangement as the film reveals fragments of childhood that helped to twist his brain into a malfunctioning mess. But the film falters when it attempts to provide substantive depth. Outside of Lou’s actions, the narrative, context and characterizations are distinctly lacking. Winterbottom regularly fails to properly introduce or develop essential people and plot elements, resulting in a detached and blurry experience. Elmer’s relationship with Joyce; Lou’s suddenly urgent need to impart revenge on the Conways; the barely explained appearance of District Attorney Hendricks; and the even more puzzling late arrival of lawyer Billy Boy Walker (possibly a figment of Lou’s imagination) are all barely sketched in. And the morsels from Lou’s childhood are too abstract to be helpful. And finally, Lou’s narration, delivered by Affleck in a high pitched, nasally mumbled monotone, may be appropriate for the sound inside a killer’s head, but is fingernails-on-chalkboard aggravating as a film experience. The performances are no more than average, Affleck unable to do much with a character who has no human feelings, while the other actors struggle with roles defined through the truncated thoughts of a madman. Winterbottom does manage to create a sun-drenched laid-back smoke-filled small-town 1950s ambiance, the kind of place where nothing exciting ever happens until a prostitute sets up shop, a psychopath goes to work and the bodies start piling up.